Posted on July 7, 2016 by David Tate, Esq. -The specifics of whether acting as a fiduciary in a particular situation does or does not switch the burden of proof, and if it does, in what manner, to what extent, and for what events or actions is the burden of proof switched? These are all important issues, and they are becoming more important. Cases that deal with powers of attorney or even these issues usually don’t go into detail, but many times simply find in a conclusory fashion that someone was a fiduciary so for all purposes and for all events or actions the burden of proof is shifted, and all depending on the judgment of the trier of fact which is often a single judge. I submit that this approach is way to simplistic, conclusory and lacking in critical legal analysis. The California Probate Code provides that agency law applies to power of attorney, attorney in fact, and principal issues, unless the Probate Code contains a provision that states otherwise or that directly addresses the issue at hand. I very seldom hear discussions in court about statutes that address powers of attorney, or actions and responsibilities and decision making thereunder. The following are a couple of those statutes. California Probate Code Section 4234 – (a) To the extent reasonably practicable under the circumstances, an attorney-in-fact has a duty to keep in regular contact with the principal, to communicate with the principal, and to follow the instructions of the principal. California Probate Code Section 4657 – A patient is presumed to have the capacity to make a health care decision, to give or revoke an advance health care directive, and to designate or disqualify a surrogate. This presumption is a presumption affecting the burden of proof. California Probate Code Section 4684 – An agent shall make a health care decision in accordance with the principal’s individual health care instructions, if any, and other wishes to the extent known to the agent. Otherwise, the agent shall make the decision in accordance with the agent’s determination of the principal’s best interest. In determining the principal’s best interest, the agent shall consider the principal’s personal values to the extent known to the agent. 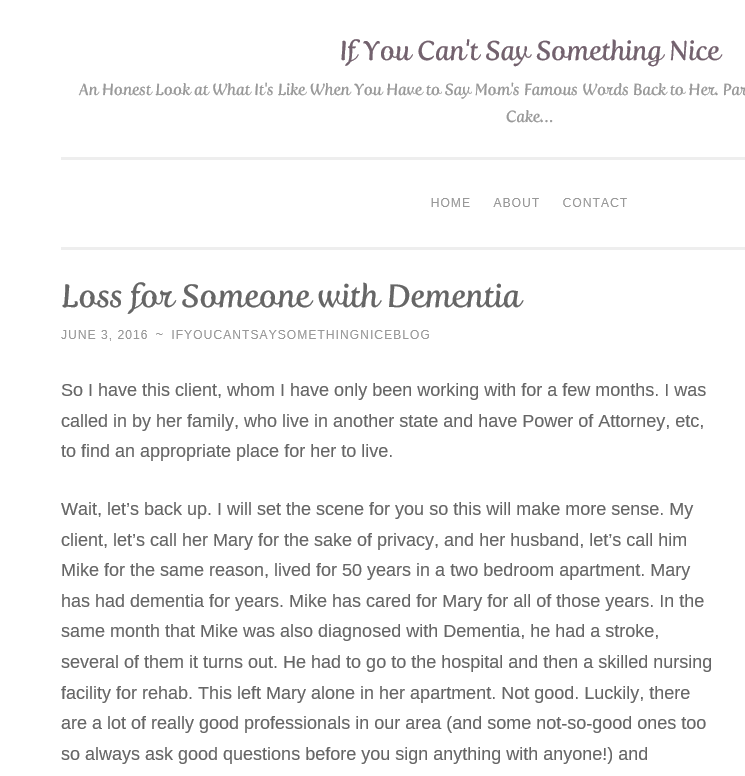 As you can see, the attorney in fact, assuming that he or she is in fact acting under the power of attorney and as an attorney in fact for the specific situation, issue or action at hand, should be communicating with the principal about important issues and the principal’s wishes and decisions with respect to those issues. And there is or might be an actual or implied presumption that the principal has decision making capacity and is making the decision in that circumstance. Posted on April 13, 2016 by David Tate, Esq. Greetings all. I am getting back to using video more often, and another new initiative which I will be telling you about shortly. Moving forward I am trying to do one video a week, and then the other posts will be in writing. I have done a quick video about my practice areas. Enjoy and tell others. Thanks. Dave Tate, Esq., San Francisco / California, (415) 917-4030.